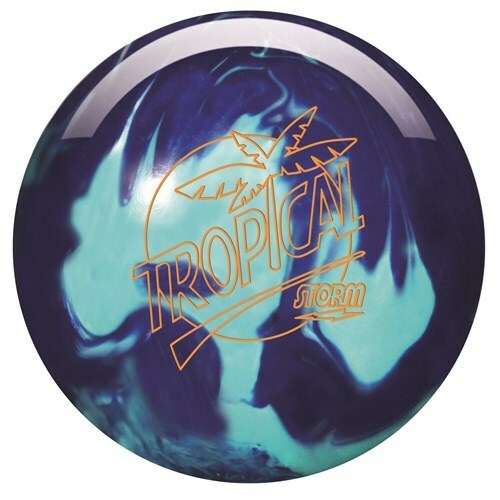 This Tropical Breeze bowling ball combines the cool colors of teal and blue and tops it off with a melon mint fragrance. This ball is ideal for entry level or casual league bowlers. The Reactor Pearl reactive coverstock glides through the front of the lane and reacts down-lane with great pin carry. The Camber core is an inverted light bulb shape that offers real results. Due to the time it takes to produce the Storm Tropical Breeze Teal/Blue-ALMOST NEW ball it will ship in 2 bus. days. We cannot ship this ball outside the United States.